Are Hunter Boots the Perfect Spring Footwear? Spending time outside after looking at the four walls all winter long is good for the body and the mind. To get the most out of those outside activities, it pays to invest in the right type of hunter boots. Here are a few of the things you can do outside while you have the boots on. The nice thing about hunting boots is that they can be used for more than hunting trips. If you are the type who loves to take long walks in the evenings, a pair of boots made by Keen Shoes is a smart choice. You’ll find several designs that provide plenty of support for your arches, ankles, and lower legs. The result is that your feet are comfortable even if you find yourself walking for an hour or more. Remember that hunting boots are typically made of materials that hold up well during the rainy season. If you do happen to get caught in a downpour, the lining as well as the materials used for the shell will keep your feet completely dry. The same cannot be said for other types of walking footwear. Instead of feeling the need to hurry home, keep walking and enjoy the feel of the rain on your face. What would springtime be without going on at least one hike? While it’s true that walking shoes are fine when you are in the city, you need something more substantial for a hike. Consider checking out the boot options offered by Clark Shoes. You’ll find several that provide you with the right amount of traction on rough terrain and make the going a little easier. The shoes are designed using materials that give and take so you don’t have to worry about any restricted range of motion. The sturdy soles also protect your feet from any sharp rocks and other debris you find along the way. There’s a lot to be done if you want to whip the front and back gardens into shape. Along with the lawn proper, there’s the shrubs to trim, seeds to plant in the beds, and the usual round of fertilizing and preparing the soil so your plants will be healthy and strong. Consider some of the boots manufactured by Hunter Shoes as the perfect footwear for doing the yardwork. The tough exterior protects your feet from brambles, stickers, and anything else you encounter while you rake, hoe, trim, and do all the other tasks associated with gardening. Spring is a wonderful time to shake off the cold and enjoy everything that being outdoors has to offer. Invest in a pair of hunting boots that will allow you to enjoy everything from walks in the forest to spending some time fishing along a bank. The more you are out and have a chance to get out of your rut, the more you will appreciate the way those boots make it possible to enjoy just about every type of outdoor activity you can imagine. Wearing high heels doesn’t have to cause you pain and discomfort. Here are five easy to wear high-heeled shoes that anybody can enjoy and which look great for any occasion. 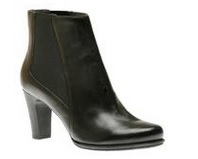 A set of 3¼ inch heels with a 3¼ inch shaft, these black uppers are designed for comfort and breathability. The shoe itself is made of leather, while the interior lining is synthetic to allow for maximum coziness. The uppers are designed to stay on your feet in almost every situation and can be used all day. The come with an easy side zipper that allows you to put them on and take them off conveniently, no matter what else you might be doing. Offering a simple five centimeter heel, this latex shoe offers shock absorbing technology that can leave your feet feeling great even after hours of standing and walking. The latex sole serves as a shock absorber while also offering an unprecedented amount of flexibility and durability. The heel is designed to be anti-slip, offering a comfortable walking strife and also providing shock absorption that leaves every step feeling super soft. These high black leather shoes are designed with elastic on the interior that allows them to fit perfectly with your foot and ankle. This also provides some mild compression to those whose feet tend to get swollen when wearing normal high-heeled shoes. Although black is the most popular color for these shoes, they are also available in other hues, making them one of the most flexible and comfortable high-heeled shoes that you will be able to find on the market today. A high-heeled shoe that is designed for all-day wear, the Josef Seibel Britney 06 has a lower heel than most, at only 2¼ inches, and a full nine-inch shaft. 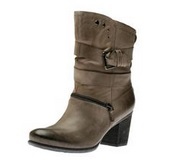 The leather shoe has decorative wraparound buckle straps around the top for maximum style and a zipper for convenience. The footbed is lightly cushioned so it can be worn over long period of time without any discomfort. While black is by far the most popular color with this shoe, it is also available in grey for those who want something different but equally stylish. This simple black shoe covers up to the ankle, allowing you to show off more of your leg and providing more mobility for heavier activity. The heel is made through direct injection technology that provides a durable base while staying very lightweight. Textile lining throughout the shoe provides comfort and cushioning that can last the whole day through. Finally, the shoe has a side zipper than makes sure you have stability while also giving you an easy way to put on and take off the footwear. These are just a few of the great options available to people interested in trying out heels that combine both comfort and style. Just because you want to the style of high heels doesn’t mean you have to give up any comfort or substance. Buying winter boots might seem like a no-brainer to some, but others want to make sure that they spend their money on a high-quality style that never lets them down. Here is your ultimate guide to buying winter boots that are both stylish and functional. No boot in the world is going to suit your needs (or even make its way out of your closet) if you don’t like the way it looks. No matter how nice the price tag or the number of warm, protective features a boot offers, if it isn’t stylish, then it isn’t worth your money. The good news is that there are literally hundreds upon hundreds of options. Try narrowing down your selection by finding the features that you want most (warmth, comfort, waterproof, etc.) and then considering the aesthetic appeal. Winter boots should keep your feet warm at all times. After all, if your feet are cold, the rest of your body soon follows. In most cases, you will want to pay close attention to the lining material in the boots. Materials like acrylic, wool, and even polypropylene act as insulation to trap your body heat and keep the cold from getting in. Boots with Thinsulate protection are also a great choice when you do not want a boot with a lot of lining. Comfort is always important, whether you are buying boots to wear to the office or you need a good pair of warm work boots for outdoor tasks. Look for a boot that supports the arch of your foot and offers a good lacing system so you can customize the fit. Be especially careful with boots that you simply pull on rather than lace up; these offer beautiful style, but they may lack a little in terms of comfort. Waterproofing is a necessity for anyone who works outside in the winter, but even if you do not, you want a boot that will keep the slushy snow from soaking your feet. If you need protection from snow, ice, sleet, and rain, look for a boot with a gusseted tongue and a cuff that keeps snow from entering. If you work outside, consider looking for a winter boot with a gaiter that extends up your calf (sometimes to the knee) to block even more wetness and give you more warmth. One of the biggest things to consider in your boot purchase is the traction. 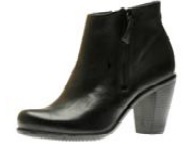 Oftentimes, beautiful dress boots offer little to no protection from slips and falls. You need to pay attention to the size of the lugs on the soles of the boot. The larger and deeper the lugs, the better traction you’ll get. What’s more, although many manufacturers make the soles out of rubber, remember that not all rubber is the same. Some tends to harden in cold temperatures, especially rubber mixed with carbon, causing slickness on ice. There is certainly a lot that goes into buying winter boots, but as long as you understand the different features they offer, you can make educated decisions based on your unique needs. Someone who works outside in the cold needs much different boots than someone who walks from a car or cab into an office each day, but warmth, waterproofing, and comfort are always important factors.